Beginning in 1737, the year in which the San Carlo theater was opened, we find many names connected with the so-called "Neapolitan School," a period running roughly from 1700 to the early 1800s. Many of the composers in that particular musical tradition studied at one of the four conservatories in Naples; indeed, many went on to teach at one or more of those same schools. They composed widely in both opera seria and opera buffa. Domenico Sarro (1679-1744). 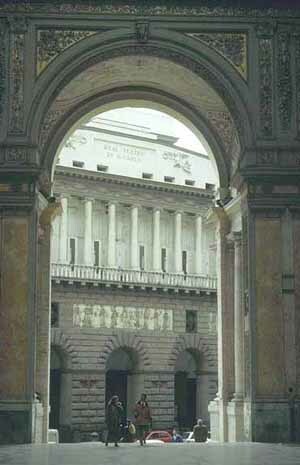 The San Carlo theater opened on St. Charles’ Day, November 4, 1737 (the feast day of the king’s patron saint). The largest and most lavish opera house in Europe opened—the first “season,” as it were—with Achille in Sciro by Sarro. He is primarily remembered only (!) as the composer of the opera that opened the new theater. Niccolò Porpora (1686-1768) probably shouldn’t be on this list. Again, I plead ignorance. He was a vocal coach and music teacher to the great castrato, Farinelli. Porpora travelled widely and was active and well received in London, Vienna, and Dresden. In London, he was somewhat viewed as the Italian competition of the German transplant, Georg Friedrich Haendel. Porpora was a graduate of the Naples conservatory of the Poveri di Gesù Cristo, one of the famed four conservatories in Naples of that period. He wrote 50 operas but is remembered primarily as a voice teacher. Gaetano Latillo ( 1711-1788) crops up at San Carlo in the 1740s with his Adriano in Siria and Zenobia. Latillo was born in Bari and composed many operas. He traveled and worked and taught in Rome and at La Pietà conservatory in Venice. He was also the assistant Choir Master at Santa Maria Maggiore in Rome. In terms of competition, he was up against the preceding generation—the likes of Alessandro Scarlatti and Pergolesi—as well as other members of the “Neapolitan school” already mentioned—Leo, Porpora, Sarro, Jommelli, Vinci, and most significantly, the great Niccolò Piccinni, the most popular of all Italian composers between 1750-1770.